Maybe you’ve always wanted to have a beautiful smile. Or your teeth are yellowed over the years. Whatever your reason for tooth whitening please know that you are not alone. As we have different color skin or hair, so we have a different color of teeth. Some people’s teeth are just darker. 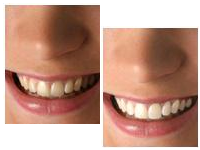 Almost every person who is no more milk teeth can safely whiten teeth. 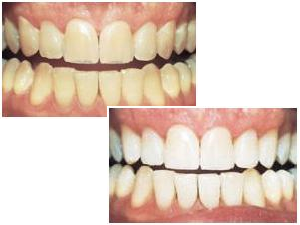 It is important to note that bleaching agents will not affect fillings (fillings) and prosthetics (crowns, bridges) and it is advisable to change at least 15 days after bleaching. People who suffer from periodontal disease (gingivitis and periodontitis) or those with sensitive teeth are not candidates for bleaching. If you wear orthodontic braces will need to wait for the end of therapy. Pregnant women and nursing mothers are advised adjournment bleaching. Recent studies indicate that whitening is safe and effective. Nowadays most professional agents do not cause damage to the teeth and gums. 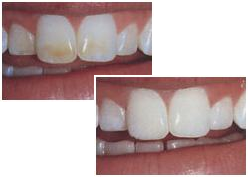 The most common adverse consequences of bleaching is hypersensitivity. 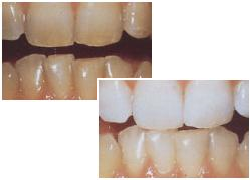 Sensitization can occur during or immediately after bleaching, but usually disappears within 48 hours.